Just before Christmas we ended up getting a Post Office Box for YSDC postal correspondence (as mentioned at the end of Yog Radio #33). What this means of course is that it's a lot easier to send us (snail mail) post. It also means we can start up a fun thing (as people at other web sites have done previously), which is to make a call out for postcards! 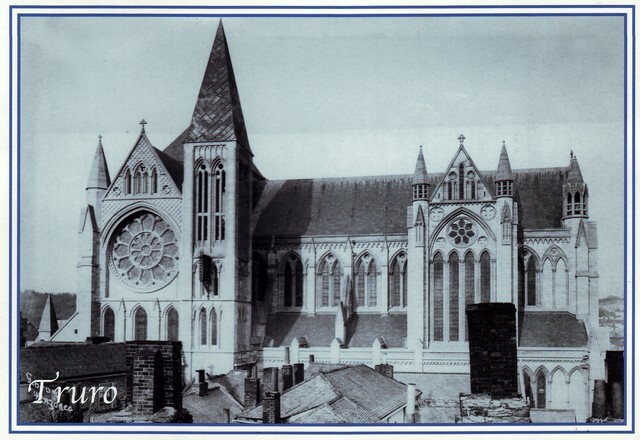 Simply send "Olde Yoggie" a postcard and when we receive it, we'll scan it in and put it up here, so others can see the fine places from which fellow YSDC members hail or just postcard pictures of things you think are fun. The only caveat is that the content should be suitable/publishable on the site. Hopefully it'll be a lot of fun so if you fancy joining in, then the address is below! - and then well post (both sides of) it here! That could be good fun. I sent mine off earlier this week. I hope it gets there unscathed. Nothing so far (postcards can for some reasons be slow, plus the extra sorting to go into the P.O. Box), but I'll check next week to see if its arrived! Now I know what caused my damaged books. Obviously the Mi-Go intercepted it at my post office. Sorry Paul. Sent off on Wednesday. Hope the post donkey makes it there. Airmail might actually be quicker in this instance . . . we shall see. My theory is that postcards are delivered slowly because everyone who handles it while its being processed ends up reading it. Edit: I propose we test this by copying portions of The Revelations of Glaaki onto a postcard and seeing how many post office workers become possessed by Y'golonac. How about a new sport - Postcard racing? 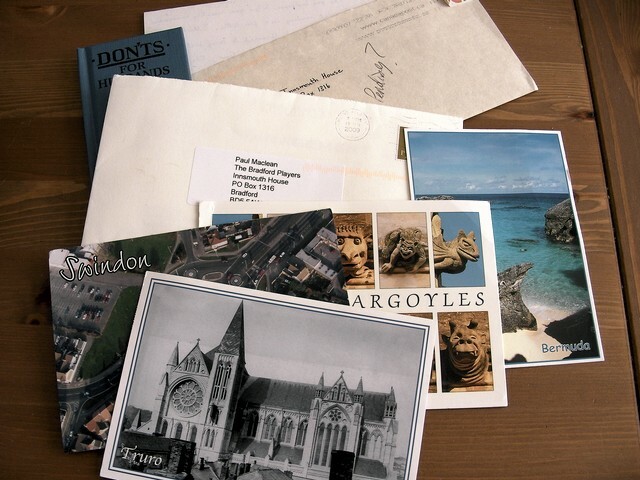 You could if you were going on a journey, say for example over a large part of Great Britain send a post card at varying points along your journey on the same day - all to the same destination and see which one gets there first or, several people at different locations could post their postcards at the same time and see which arrives first. There is an amusing presentation/lecture in mp3 format on the Internet regarding doing silly things with the post (e.g. posting cash in note form in a transparent envelope to see if postmen are honest) . Here's a link if anyone is interested. and do a search for term 'Postal Hacking' (try not to get distracted by all the other cool talks and lectures on there). A review of the United States Postal Service discusses numerous mail-related issues. What is the heaviest thing that you can send in a flat rate box? What happens if you mail a sphere? What are the mysteries of digital postage meters? A look at how modern automation allows you to send a letter 3000 miles for only 42 cents and what security vulnerabilities might exist in that infrastructure. How the new "PLANET" barcode will track all mail in the future. It's all 100 percent legal, but sure to make the mailman wonder. Postal inspectors welcome. Will the postcards be scanned and posted here? Or will we have to simply guess at the majesty of the illustrations/photos? 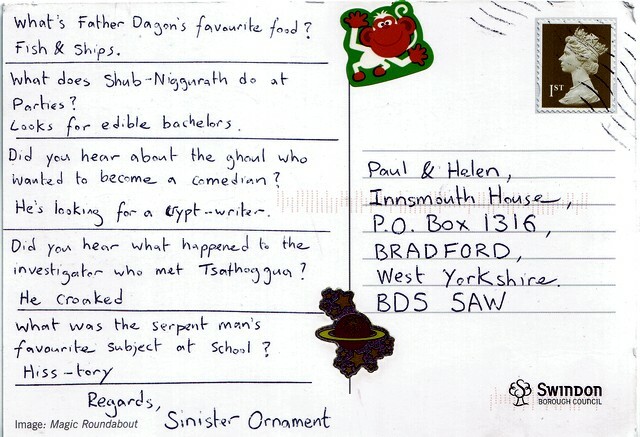 Paul, please can we have an update, I'd like to know how many postcards you've received so far. I don't think they check the box every day, so he might not even know. We don't check the box everyday (its in another part of Bradford). I did check yetserday and nothing's arrived so far, which I thought was a bit odd as some people sent them the other week. 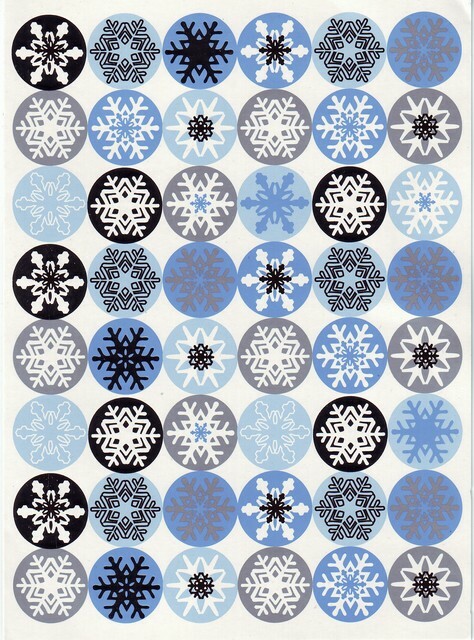 I sent myself a card today, so will see how that fares. 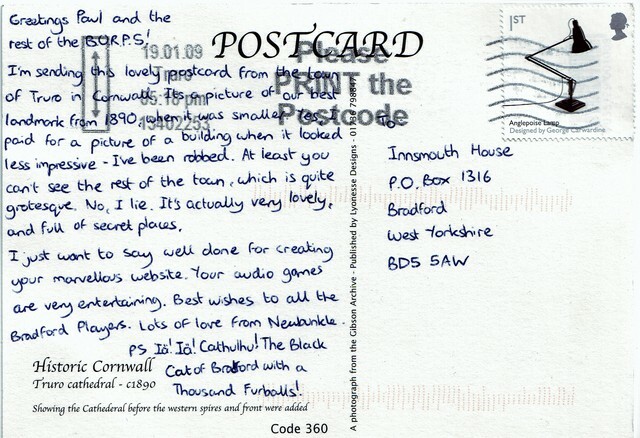 I demand Royal Mail send my falsely advertised 1st class stamp back! Mine was first too, lol. Cor, what a swizz!!! 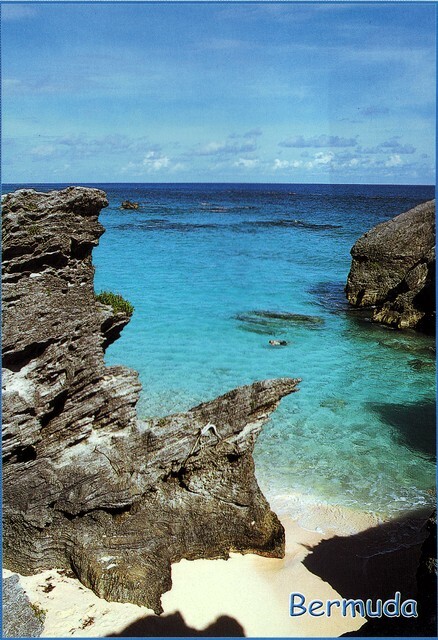 Postcard sent in the mail today! Might take a bit of time to get out of Massachusetts, then out across the Atlantic, and then over to the Green and Pleasant Land to Innsmouth House. But yes, it's headed your way! Great stuff! I didn't get a chance to check the PO Box today due to snow, but will do so in the next few days. At last it starts to arrive! From Blaggard - yes, Christmas - it has taken a while ,but it looks like the PO Box troubles have been solved, and through they come! Blaggard also very generously sent these for Helen & myself. I'm sure they will prove instructional reading. Thank you! 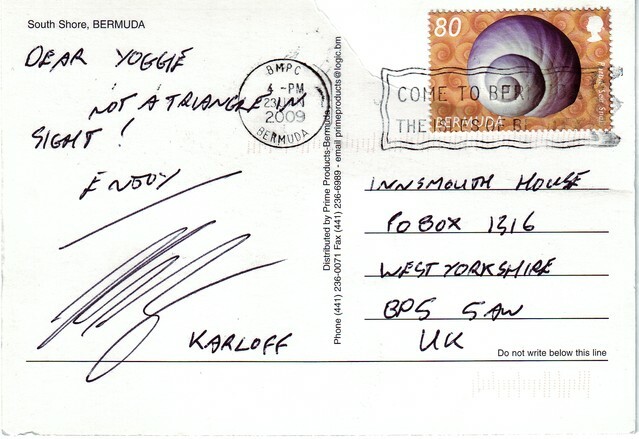 From Karloff - it certainly looks a lot nicer than snow covered Yorkshire at the moment! 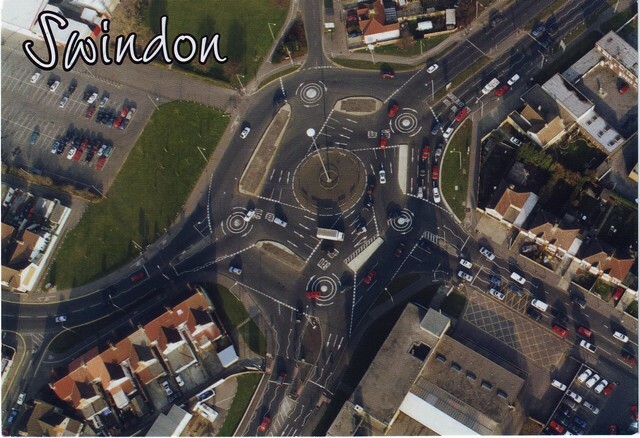 From Sinister-Ornament - the wonders of Swindon's Magic Roundabout - obviously it has a baleful influence on Lovecraftian jokes! 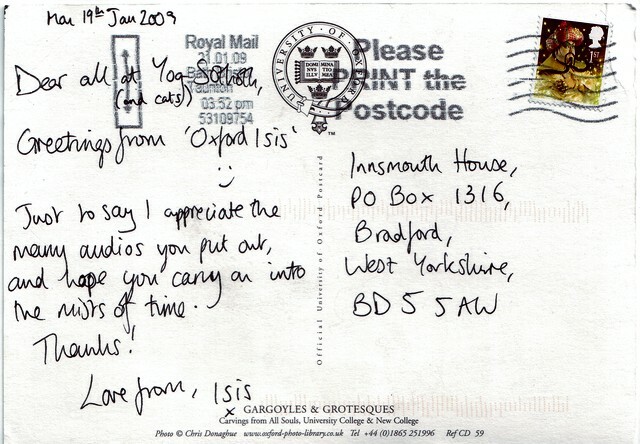 From Isis and the 'seet of lerning' - Oxford. Yes, here it is at last! 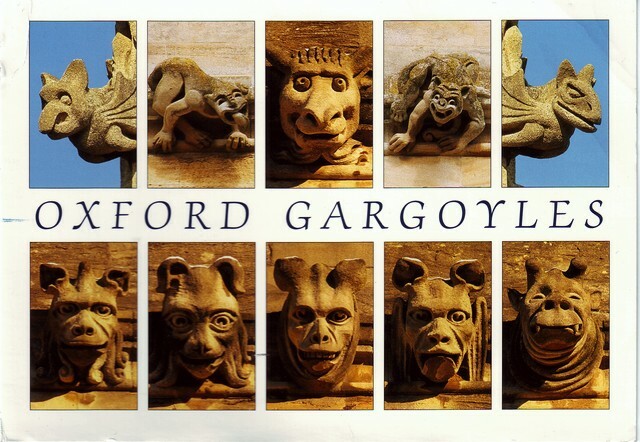 Some of those gargoyles would look rather fetching on Innsmouth House I think. 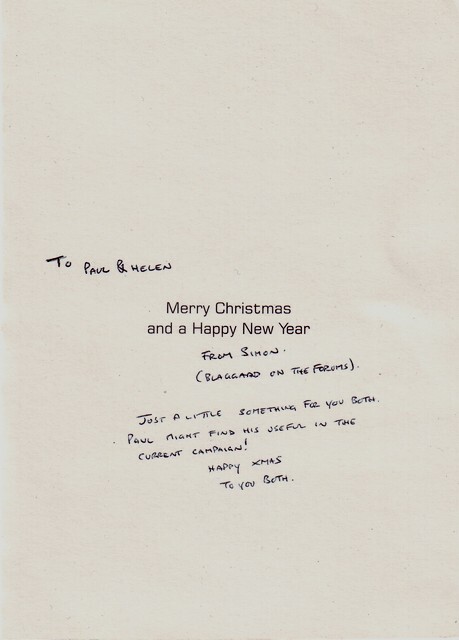 Scanning Electron Microscope users may also spot the inside joke on this card. 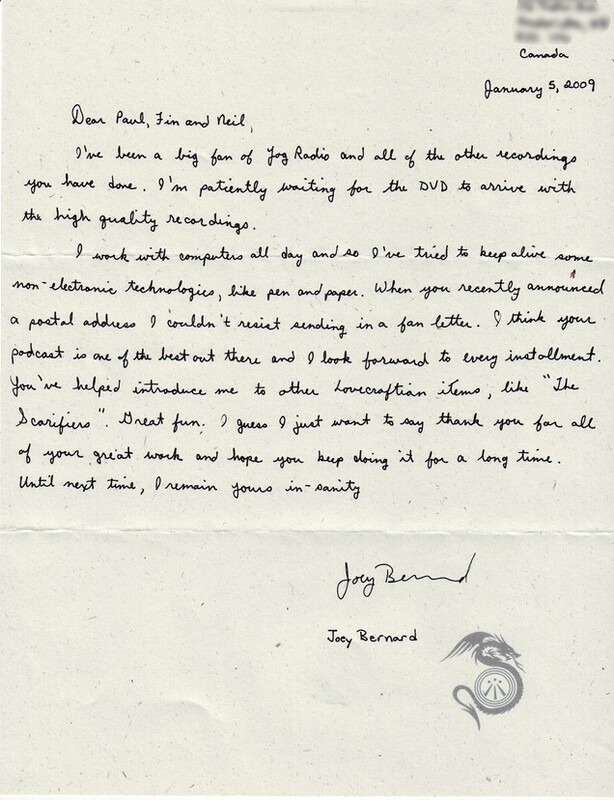 - and finally for the current round, a letter from Joey Bernard, which is our first for reading out on the next edition of Yog Radio. The seal survived intact from Canada. Thank you, Joey, and everyone who sent in mail so far! It feels rather nice to receive tangible mail, it does feel more 'Lovecraftian' in a way I suppose, and the extra effort's very much appreciated! Post us something and well post it up here. The more the merrier! Excellent! I'm glad to see they finally arrived. I don't remember my handwriting being so wonky before I sent it. Some strange warping of space must have moved the ink around on the page. I'm so pleased it arrived. Edit: Hmm... so it took about 2 and a half weeks to arrive. I'm trying to remember when I posted mine. It was a good few weeks before Xmas. Still, you got them and that's the main thing. I thought the books would be an interesting add-on for Green and Pleasant Land or even Gaslight. 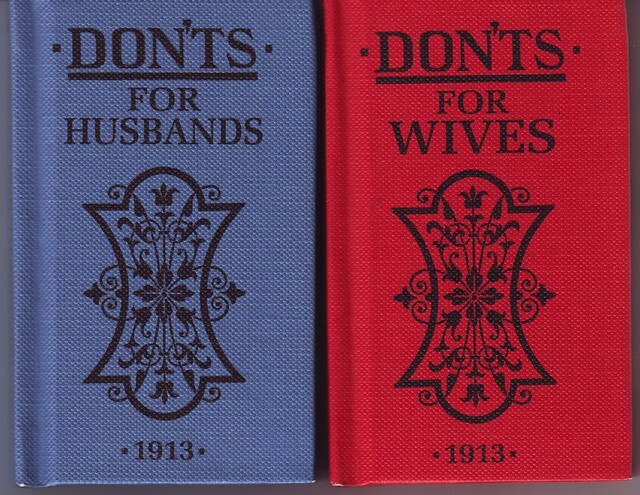 Sadly, I don't think the lady who wrote them thought to include a firearms section in the husbands edition! Ps. Anyone worried about their handwriting, take a look at my block capitals. Anything I write is illegible otherwise.